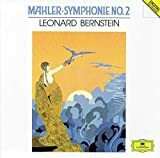 This continues "Gustav Mahler — Symphony No.2 (Part 1)"
Around the same time, a Sylvain Dupuis championed the Second Symphony in Liége with his “mediocre and choppy” (Mahler) orchestra. When Mahler came to conduct a performance himself, he had to re-arrange the orchestration to accommodate the lack of bass tubas, contrabassoons, and five-stringed double basses. He didn’t like the experience, but he was hardly above making any host of changes to get his works performed at all. Following the performance, on critic (Gazette de Liége) called it the “most masterly work of its kind since Mendelssohn [sic!]”. Perhaps the writer was fresh under the impression of Mendelssohn’s Second Symphony, but surely this was the only time a Mahler symphony has been likened to one of Felix’. What follows are empty phrases of exaltation that mean nothing. Much more perceptive and articulate are two slightly more critical reviews. One points out that the symphony was audibly “the work of a sceptic [, a] vast poem of life [that] exalts fatality [and] a joy which is lacking abandonment or confidence… The work seems to be analyzing itself…”. The other finds it an “uneven work… very beautiful in parts, weak in others. 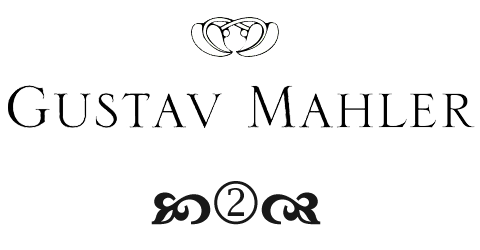 One is to aware of effort, of its desire to be original…” Whether you love the Second Symphony or not, both statements ring true of Mahler in general and the work in particular. After the Mahler-conducted Munich performance, another critical review—Henri-Louis de La Grange calls the author Rudolf Louis a convinced anti-Semite—gets the essence of the Symphony surprisingly right when he attests that Mahler’s dynamic and fiery temperament rendered the musical language captivating... and compelled the audience… to ‘surrender unconditionally to the composer’… and that the audience found itself ‘overwhelmed rather than convinced’. The difference is that today, audiences are both. Mahler prepared that Munich performance of the Second Symphony in 1900, although not with the Mahler-championing Kaim Orchestra (the Munich Philharmonic-to-be, which at the time was lead by Felix Weingartner), but in this case by the “Munich Society for Modern Composition”, formerly the Hugo Wolf Fan Club. This time he had to deal with small string sections and added a clarinet to a section of the chorus, to support the shaky tenors. After the performance, concerned about sufficient contrast between movements, Mahler still toyed with the idea of placing the Scherzo second. He didn’t, because the Andante would have been too similar in mood with the following—Urlicht—movement. In the case of this symphony, that is not too important… but it is helpful in remembering that ‘finished’ symphonies are not works necessarily cast in stone the way we know them. More about that when we reach Sixth Symphony. Also for the Munich performance, Mahler demanded for the contralto part a “voice and expression of a child, since I myself, when I heard the tinkling of a small bell, imagined the soul to be in heaven where it will have to start afresh… as a small child.” That sounds similar to his demands for the soprano in the Fourth Symphony, but who could possibly imagine the low part of Urlicht to be at all child-like? Maybe the young Christa Ludwig (Mehta) comes close. White-hot intensity is achieved by—it may come as a surprise to those who know him as a purveyor of polished, ‘politically correct’ rather than emotionally drenched, Mahler—Seji Ozawa. Not from his Boston Cycle (none of which is currently available in the U.S., anyway—a shame in the case of the Second, Fifth and Eighth) but from a concert with his Japanese Saito Kinen Orchestra. (The orchestra’s first clarinet, by the way, is Karl Leister.) Emiko Suga (soprano) and Nathalie Stutzmann (alto), his soloists, are good if not necessarily outstanding; the choir is extraordinarily precise. But it is the orchestra and the conducting that really shine: These players seem to understand exactly what Ozawa wants—and what begins a very relaxed and loose performance, unnoticeably, surreptitiously ratchets its way up to an emotional force second to none. Ozawa vacillates between calm beauty and searing, roaring moments. His second movement has a gentle flow to it that exudes peace and Gemütlichkeit… very apt for a movement with the instructions “Sehr gemächlich. Nie eilen” (“Very gingerly paced. Never rushed”). His Urlicht emerges from the depths like it should. Even where the entire last movement does not quite soar as with Boulez, the finale is riveting. 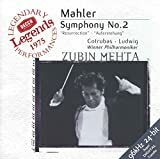 Before Zubin Mehta became an indiscriminate conductor of commercial schlock he was a young, fiery Indian, out to take the world of classical music by storm. Including Vienna, where he made one of his few truly great recordings: a Mahler Second that still stands the test of time. A beautiful performance with Christa Ludwig and Ileana Cotrubas (delicate, natural) at the peak of their careers (1975), it exudes controlled (but only ‘just’ controlled) passion and a certain air of impetuousness. Perfectly appropriate for a symphony that Mahler started at the young age of 23. The quality of the singing is matched by the captivating Viennese forces. 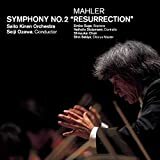 The recording is less controversially hailed than the Ozawa recording, but then it has also been considered "great" for a long time, while Ozawa had a (Mahler-) reputation problem by the time he recorded this symphony for the second time. A grand yet taut reading—not unlike Boulez’, although with a little less of that glow the Vienna Philharmonic produces—is Michael Gielen’s. Like Boulez he comes from modern music to Mahler (which is, coincidentally Abbado’s as Chailly’s general approach, too) and looks forward with the music, not back to Wagner and the like. 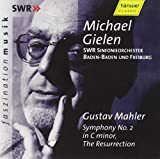 His Mahler interpretations have some detractors—but with reviewers like David Hurwitz and plenty of Mahler-versed acquaintances of mine he is consistently among the highest rated Mahler conductors. His South West Radio Symphony Orchestra seems infected by Gielen’s fervor and they play with gripping intensity throughout. Juliane Banse (soprano) and Cornelia Kallisch (alto), the EuropaChorAkademie and the Rundfunk-Chor Berlin round out the vocal element very pleasingly. I prefer it over the Michael Tilson Thomas recording (SFS Media ) which is just a little bland in comparison to Boulez, Abbado and Gielen. Nonetheless, I would loath to give up the MTT’s Second, because the Lorraine Hunt Lieberson Urlicht alone is worth having it—especially given her tragically early exit from stage and life. Reviewing it in 2005, I said: “[C]asting hues many other singers should envy […], her natural and honest tone is perfectly suited to Urlicht.” It’s just as true, re-listening to it now—only with the addition of moister-still eyes. 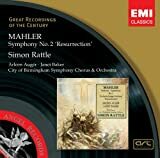 Klemperer (New Philharmonia, EMI GRoC) did not stand up to most modern versions when I last compared it in the review of MTT’s Second and although a bargain on one disc at mid-price, there is too much that is better (Mehta, for one, is available at the same price) to leave it a serious competitor. Nor does, after hearing more and more versions, Simon Rattle’s once much hailed (by the English press, of course) recording stand out quite as much. Solti with the London Symphony Orchestra has beautiful moments—but the sound is not helping the almost unlistenably harsh brass section. They are cringe-worthy and slightly ‘off’ in the Urlicht, for example. A shame for Helen Watt’s beautiful contribution. No shame for Zlata Bulycheva’s bizarre, incomprehensible contribution on the more recent LSO recording (LSO Live ) with Gergiev, though. What a mess—and not a performance to make up for it from the Russian and his band, either. A good contribution comes from Zinman (RCA ), though, who rips into the opening chord with quick determination, enough to jolt you, not expecting the Maestoso broadside from the usually stately opening movement. The Andante is sly, everything has a slightly lighter touch than Christoph Eschenbach’s more imposing, thunderous recording with the Philadelphia Orchestra (Ondine ). Convincing as both of them are, the SACD Choice is pretty clear, all the same: Fischer Iván ahead of Tilson Thomas / Hunt Lieberson. I don’t see any mention of this in his enthusiastic reviews, but full disclosure would stipulate that he mention having written the liner notes for all the Gielen Mahler releases. Today [Ed. the day of the initial publication on WETA, November 10th, 2009], 100 years ago, Gustav Mahler conducted his second concert as Music Director of the New York Philharmonic at Carnegie Hall. On the program were Bach (Suite for Orchestra and the E-major Violin Concerto, some Rameau, Handel, a Gretry aria and a Haydn Symphony (No.104) as the conclusion. 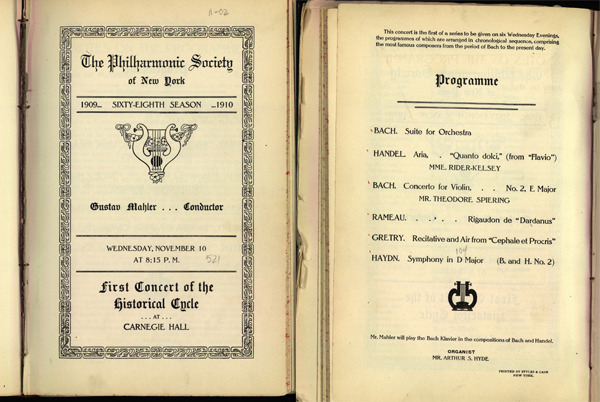 New York Philharmonic Society, Program from the 68th Season 1909 / 1910. Wednesday, November 10th at 8:15 P.M.